Disclaimer: I tried Le Tote on my own, for $59. I thought I would get the first month free, but in the process ended up paying... read on! All opinions are my own. 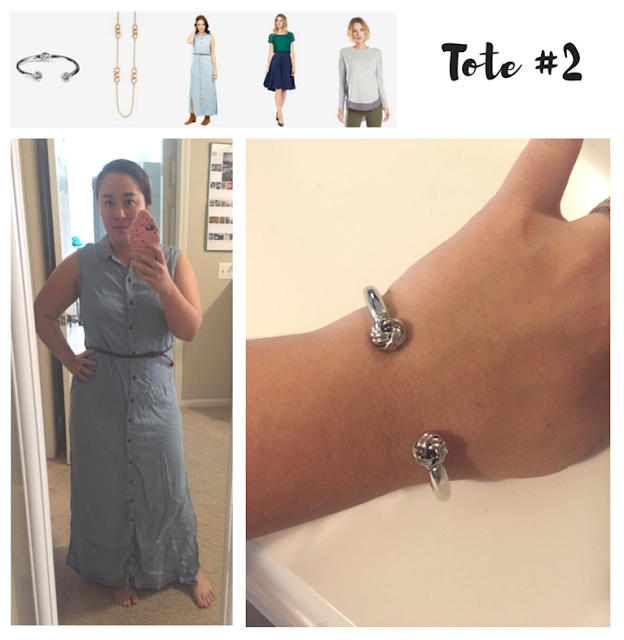 As you may know, I've been using Stitch Fix for a while, and I recently tried Gwynnie Bee. When Gwynnie Bee didn't turn out how I had hoped due to sizing, a friend suggested I try Le Tote. How it works... 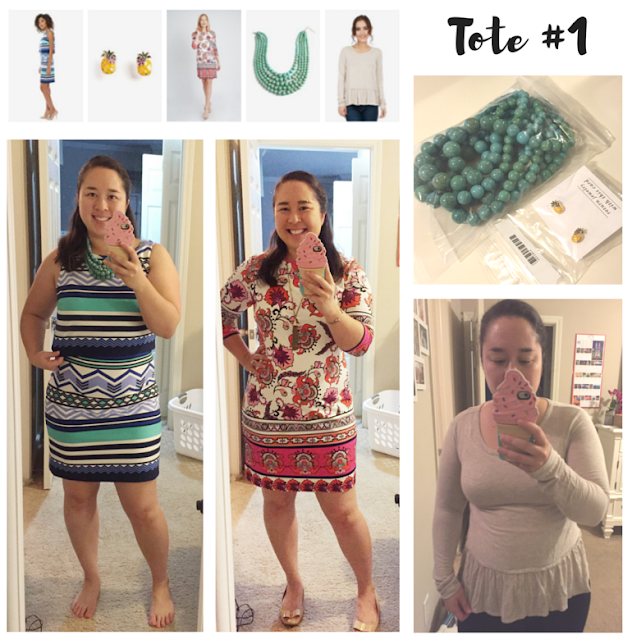 Le Tote has been likened to the "Netflix of clothing" in that you can wear things and return. You select items you'd like, and then it throws together three pieces of clothing and two accessories to send to you. You have final say in what is in the tote, from a limited selection online. Then they send it to you and you begin the exchange. You pay a $59/mo fee, and shipping is free. Brands. They had brands like Eliza J that I liked. Convenience. It shows up to your door, after all! Cost. $59/mo is steep given the issues above. And my first month wasn't really free, I got charged. I cancelled straight away. The items were also very expensive to purchase compared to other services. User interface on the website wasn't as good as Stitch Fix or Gwynnie Bee, IMO. In the end, I just got really frustrated because the experience was not to the standard I'd expected after using other service. If I wanted to wear and return clothing, I'd use Gwynnie Bee since I'm size 10+. If I wanted to have clothing sent to me to try and keep, I'd use Stitch Fix. 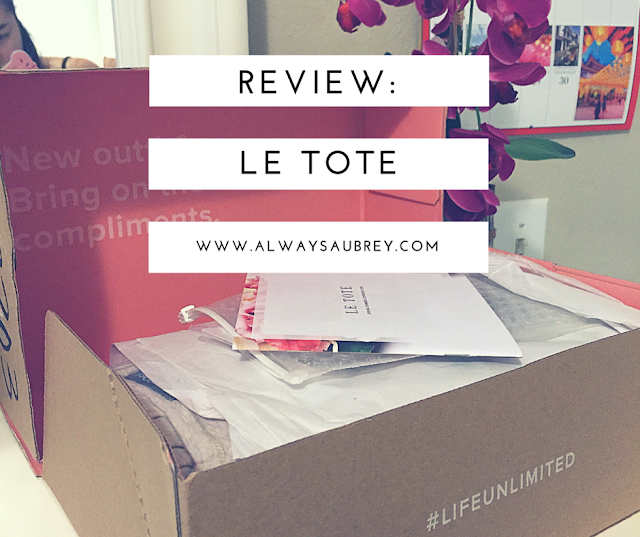 There just isn't space in my life for Le Tote at this point, at their price point and service levels. I will say that Le Tote customer service was responsive and helped me cancel in good timing so I wouldn't get charged again. No hassle, just took care of it. This one just wasn't for me, guys, it just didn't feel personalized or convenient compared to other companies doing it just a bit better. Have you tried Le Tote? What did you think?